Explosive and edgy, Virtual Vice by Jason M. Kays takes the reader on a journey into the bowels of the murky and deadly dark side of Internet venture capitalism. Attorney Ian McKenzie’s life takes a decided turn when he is introduced to the charismatic, but dangerous, Scott White. Hired by White to represent his interests in Metropoleis Media, a cutting edge Internet startup, Ian is soon drawn into the personal trials and tribulations of White’s life. Leaving a trail of violence and abuse wherever he has been, White’s quick descent into paranoia and mental illness finds Ian searching for a way out and a way to collect the ever mounting outstanding attorney fees that White owes him. Caught in the middle of the Feds, La Cosa Nostra and the Cali Cartel, Ian is trapped in a fatal game of corporate winner-take-all. How will he ever extract himself? And at what cost? If you like wild rides, Virtual Vice is for you. Beginning with Ian McKenzie discovering his client naked and teetering on the edge of the veranda outside his hotel room, you’re certain from the get go that this is no ordinary story. Soon after meeting Ian, Scott White and some of his abnormal associates, the reader journeys through part of White’s past and how Ian met and came to be hired by White before the book moves through in a mostly chronological format. The author’s love of music and his experience as an intellectual property attorney in information technology and entertainment law are clear from the onset, and it is his well-developed, complex characters that readers will appreciate the most. White’s total deterioration that garners him some unwanted attention from past associates, Clarice Westwater’s greed and ability to manipulate and Pastor Petey’s feigned piousness, come alive within the pages of this book. Virtual Vice gives a glimpse not only into the world of Internet venture capitalism, but also the music industry and Ponzi schemes, as White’s long history of bilking investors and running across state lines is outlined. Based upon true events, Virtual Vice is considered creative non-fiction, and therefore, the narrative carries the bulk of the story. This made it a little hard to get into at first. I am so glad I stuck with it, though, because the storyline is not only timely, it is riveting once it gets going and you’ll find yourself turning page after page up to the explosive and satisfying conclusion. A timely, attention grabbing story is what you’ll find in Virtual Vice by Jason M. Kays. Not every inspirational book is going to touch your heart or even make you think. But Is Your Ghost Holy? by Shay Bills does that and more. In this slender book full of powerful and moving words, the reader is given eight principles to help her evaluate her walk in the Spirit. The Principles of Truth, Life and Death, Faith, Love, Change, the Baptism of the Holy Ghost, Blasphemy against the Holy Ghost and the Power of the Holy Ghost come together for an inspiring and empowering read. The author’s experience as a speaker, teacher and motivator truly shines in Is Your Ghost Holy? Her conversational style and touching words will leave you thinking long after you close the cover on this book. But I recommend that you never truly close this book, but leave it on your nightstand so that you can refer to it often, using it perhaps as a devotional on a regular basis. Certain chapters may speak to you more than others. I found the seventh principle extremely helpful, especially considering some of the events I still hold onto from my past. In “The Principle of Blasphemy Against the Holy Ghost”, Bills discusses how unforgiveness in the Christian walk keeps many stagnant in Christ. She explores the dangerous place that the state of unforgiveness is. With a firm grasp on Scripture, she discusses how easy it can be to notice unChristian behavior in others, but not in ourselves. And she fully explains what blasphemy against the Holy Ghost truly is. Learn how to take the road less traveled and stand firm on the Word. Is Your Ghost Holy? by Shay Bills will show you how. Miss L’eau by T. Katz is a delightful chapter book with an excellent message. James and David like their teacher, Miss L’eau. She’s a lot like the other teachers at their school, yet, there’s something different about her too. And she has the most amazing eyes. One day, James seeks shelter from a storm in the boys’ secret hiding place by the old lighthouse. James thinks he sees something, but certainly that can’t really be what he saw. Suddenly Miss L’eau is more mysterious than ever. The boys are determined to figure out her secret. They don’t know, however, how much that secret will change their lives..and perhaps, the world. In this exciting and fun short chapter book, the story focuses on two young boys and their teacher. While there are other characters popping in from time to time, in true chapter book format the number of characters is limited, allowing young readers to easily grasp everything that is going on. The mystery surrounding Miss L’eau and why she is in Grant Harbor keeps readers turning the pages. In a short amount of time, James and David go from giving little consideration to the ocean that they have lived next to all their lives, to strong proponents of protecting the ocean and marine life. The soothing cover art works well with the topic of the book, a mixture of darker and paler oceanic blues; though I have to admit that the one big eye in the middle of the cover creeps me out. Perhaps an animated version of an eye or a smaller picture of two eyes might have made it less jarring. Miss L’eau will show young readers how easy and fun it can be to take care of the world around them and to encourage others to do the same. Two chapters into Lisa Sweetingham’s narrative, Chemical Cowboys, it’s clear that the former Columbia School of Journalism student’s strength is in how to sniff out sources, chronicle historical fact, and disseminate information important to the case. Her work is exhaustingly detailed, well documented, and credible in every sense from the perspective of an investigative reporter. Where Ms. Sweetingham’s work falls flat is in her ability to tell a compelling story through a minimum of characters. Her sweeping approach on the DEA’s struggle with “kiddie dope”, the Ecstasy Wars of the 90’s, skips around haphazardly, introducing so many agents, drug lords, Israeli mobsters, mules and grifters, she clogs up your information pipe line to where you are overwhelmed and disinterested. You sort of just want to stop and clean up the mess. Non-fiction must move along like fiction. Stories are usually easy to follow when you know whom the good guys and bad guys are. In this instance, it’s clear the agents Germanowski and Gagne are the two protagonists we want to follow. Certainly we understand there were other players during their tenure but it’s the G-boys we want more of, want to know, want to be with in their daily struggles against the antagonistic, Oded “The Fat Man” Tuito. The basis of the story lies amongst these 3 players yet we drift in and out of their lives as we struggle mightily through the introductions and background of one character after another. In many cases, even with the most minor of players, you can bet on two to three paragraphs of family history, criminal history, and who’s the subjects favorite teacher from his or her eighth grade Junior High School class. Though I hyperbolize, it’s all too much. In the expose’s most grotesque moment, Sweetingham finds it necessary, even though it’s complete conjecture, to let us know that one of the Club Kids, the heroin induced Michael Alig, may have swallowed the testicles of his murdered roommate. This revelation hardly adds to the story and is only mentioned so the author can be provocative. It’s a real shame. Sweetingham had a great opportunity to open our eyes on a part of the drug war still unknown to us. If she would have fashioned Germanowski and Gagne to their undercover brethren, “Popeye” Doyle and “Cloudy” Russo, she would have created a more stirring and memorable account. In my opinion, Chemical Cowboys is a disappointment. The pace is swift, yet the over stuffed content drugs you up as a reader with information and forces you to struggle turning the pages. Three-quarters in you are fighting the story and you’re tempted to jump chapters just so you can get it all over with. Next time around, let’s hope the talented and well schooled Lisa Sweetingham decides to do much more – with much, much less. Publisher: North Star Press of St. Cloud, Inc.
What do you get when you cross an accident prone computer genius, an expert puzzle solver, a flamboyant grandmother who loves knitting–even though she’s terrible at it, and a young detective who can solve crimes that stump senior members of Scotland Yard? A great new interactive mystery series that your children will love! Sibling detectives Max and Mia Holmes reside on Baker Street in London. Along with their Granny Nellie Holmes and their technology wizard best friend, Morris, they make up the Crypto-Capers. In Book 1 of this series, The Case of the Missing Sock, the Crypto-Capers travel to Florida, where Mr. Delacomb hires them to locate a stolen antique sock with a specially made pair of Prada sunglasses tucked inside. With new suspects popping up everywhere they turn, the Crypto-Capers must use Max’s great skills at reasoning and deduction, Mia’s ability to solve puzzles, and Morris’s penchant for technology, to help them solve the crime. And just in case you think Granny has wandered off for no good reason, you’ll discover her wanderings are usually very productive. Before I say anything else, I have to tell you that my daughters–ages 7 and 5–are already bugging me to get done reviewing these books so that they can have them. 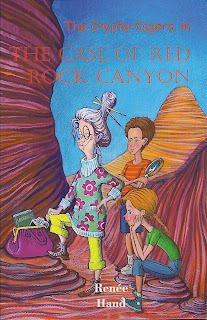 I have both Book 1 and Book 2 – The Case of the Red Rock Canyon, and Granny is definitely a favorite character based upon the cover art from Book 2. My girls are starting to make up their own stories without having even read these; so illustrator Alla Dubrovich deserves a huge nod for creating attention-grabbing covers. The Case of the Missing Sock actually opens in London, with Max in the middle of something good. I don’t want to destroy the surprise, so I won’t say much more on that, but Hand wastes no time in getting right to the action. Then we get to meet the rest of the team and get some backstory on the family. The backstory is trickled in between the current day happenings, so it doesn’t have a chance to take over the storyline or distract the reader. Hand does an excellent job of sharing just the right amount of detail to make the reader feel like he is experiencing everything along with the Crypto-Capers, while not overloading him with unnecessary junk that weighs the story down. What I enjoyed most about this book and the plans for other books in the series, is that it gives readers, especially reluctant ones, a reason to pick up a book. By having the reader decipher cryptograms along with the team, The Case of the Missing Sock becomes more than just a book; it becomes an interactive adventure. The Crypto-Capers by Renee Hand is one series of children’s books that I plan to keep an eye on! PRESENT A SOLUTION. That’s the main theme of the book. After breezing through the chapters reinforcing the theme, I thought of how I might apply the author’s advice. Being involved in a soccer club, a perplexing situation arose when a rogue coach of ours decided he wanted to take our team to a competing club. With the parents torn between their allegiance to the club and their desire to remain on a winning team, a meeting was set to discuss the matter between all parties. At the meeting, the club, along with its new coach, would pitch the parents on the advantages of staying, while the old coach would attempt to lure them away. As the spokesperson, I used the recommendations in the book. Rather than speak about our many state cup championship victories, myself and the unrivaled history of the club, I chose to focus on providing a solution for the parents. Knowing, at the age of fourteen, the girls were only a couple of years away from receiving offers from colleges, I charged forward and presented a curriculum that brought Division I college coaches in to train and speak to the parents and girls. Fully understanding the parents’ desire and expectation for hefty scholarships, I raved on about the new progressive training methods we were going to implement – how they mirrored those of the Division I schools. I added that with each girl, we would build a profile of their accomplishments on our web site and then create a scholarship strategy for every player based on her ability and her education needs. When I was finished, lo and behold… The parents walked out with the old coach. It actually worked. Joey Asher’s “How To Win A Pitch” has extreme value as an advisory source for those who need to win business for their sake, and the sake of their companies. Written in a simple but sprightly prose, the book is filled with humorous anecdotes, colorful insights and common sense articulations that will strengthen your understanding on how to close a deal. Asher even goes so far as to teach you how to gesture and what your body language means to a prospective buyer. “How To Win A Pitch” is a winner from the first sentence to the last. Based on my success with it, I’m turning it over to my wife, who as the Administration Manager of her firm, plans on having all the sales staff give it a read. We both believe it will benefit the company a great deal. If you want to take a scary and sometimes funny–if it weren’t so real–trip through the day-to-day life of middle school teachers, then pick up a copy of No Teachers Left Behind by Hopeful But Frustrated Teacher (HBF Teacher). Join Sixth Grade teachers Sandra Wyatt and Marcus Watts, Seventh Grade teachers Sonya Harte and Gail Jenkins, Eighth Grade teacher Angela Williams, and the other teachers, administrators and support staff at fictional Vilyon Middle School for a glimpse into the daily life of teachers in America’s public school system. Frustrated, by overpaid administrators whose decisions lack common sense and place the “needs” of students ahead of everything else–including necessary discipline and safety issues, the teaching staff at Vilyon Middle School can’t even seem to get support from the support staff. The head custodian expects them to make sure unruly and unmanageable students don’t destroy the bathrooms; while unsupportive parents point to teachers as the problem behind their children’s lack of academic success. Told through a series of scene excerpts, poems, and email exchanges, No Teachers Left Behind portrays some of the challenges facing American public schools today; and it leaves the reader wondering if these types of things occur in every school district in America. My opinions on this book are mixed because I approach it both as a parent and as someone who volunteers in local public schools. I’ve watched while budget cuts have left teachers counting the number of photocopies they make each day, while perfectly useable equipment is replaced with newer models. I’ve heard the cries of large class sizes, but have heard stories of teachers not wanting parents in their classrooms. 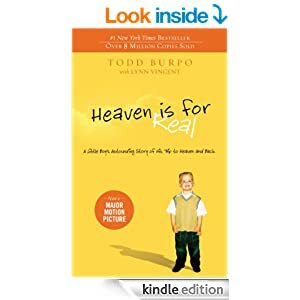 The administrators are out of touch with reality in this book, and the majority of students and all the parents are portrayed in an unflattering light. Most of the students are more interested in making drug deals, getting their teachers suspended, and getting it on, than performing well academically; and the parents fault the teachers, not themselves, for any problems that arise. The author’s passion for this subject is evident. While I didn’t think I would care for the format at first, I found it very easy to follow the various email communications and scenes to their shocking and tragic conclusion. The language is a bit crude in places, but mostly appropriate when used. The one thing I didn’t quite understand was the cover art; but I thought the rolling prairie might be symbolic of the less complicated days of educating children in one-room classrooms, before government legislation and mandatory testing dictated how educators taught their students. No Teachers Left Behind is one of those books that will leave you thinking about the state of things long after you’ve turned the last page. Are you concerned over what decisions your daughter might make once she’s out on her own? Are you a young woman searching for guidance now that you no longer live with your parents? Are you a pastor seeking to guide young single women in your church? Do you know a young woman living on her own or soon to be living on her own who would benefit from some Godly guidance? If you answered yes to any of these, then you’ll want to pick up a copy of On My Own Now: Straight Talk from the Proverbs for Young Christian Women who Want to Remain Pure, Debt-free and Regret-free by Donna Lee Schillinger. In this interesting and thought-provoking exploration of the book of Proverbs, Schillinger takes young women along a journey that will help them to make better, safer, and more sound decisions. The author takes a unique approach to the book of Proverbs by reversing the gender in many of the proverbs from “he” to “she” and Schillinger includes a modern day translation of Proverbs 31:10-29 about the traits of a good woman at the back of the book. Exploring such topics as how Proverbs applies today, staying pure until marriage, dealing with anger and jealousy, developing good habits, tithing, using passion to make a positive impact, and the importance of not making rash decisions, Schillinger shows how the book of Proverbs can guide young women to be the women they want to be and stay that way. Its hip cover and conversational style will attract young women, and Schillinger is careful to get her point across without being overly preachy. There are also word bubbles throughout the book that capture important portions of the text to focus the reader. I have to admit that the overuse of the exclamation point made it lose its effectiveness for me; but in the hands of a younger woman, that may not be the case. I also found a portion of text where I stopped to ponder the impression a young woman would be left with when reading that passage. While the author does make a point to mention that St. John’s wort may interact poorly with some medication and to talk to a healthcare provider if the reader is on any prescription medication, it seems it would be safer and prudent to suggest the reader talk to her healthcare provider or a registered dietician about adding supplements to her diet prior to taking anything. On My Own Now, is an excellent resource for young women on how to use proverbs to guide their lives. I am going to talk to our pastor about purchasing copies of this book for female high school graduates from our church.